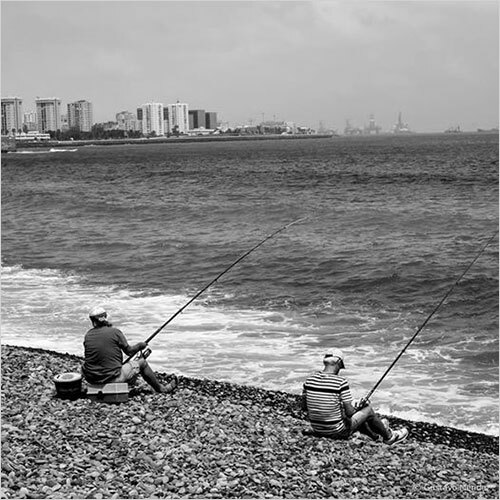 Getting a Gran Canaria fishing license is essential if you want to go shore fishing while on holiday here. Our team will get the work done for you really fast, and send you the document when it is ready. All you need is a Paypal account. Paypal is a fast, reliable, and very secure form of sending funds through the internet. Click here if you don't have an account (opens in a new window). Do I REALLY need a shore fishing license in the Canaries? Yes. There a police body called SEPRONA, which takes care of wildlife. A couple of times a year, they check on all the people fishing around the shore, to make sure they have got the proper license. Those that don't have them, are fined. Gran Canaria Fishing License: What does the Package include ? 1) A member of our team will print out your documents and take them to the local authorities. 2) A scanned copy of the license will be e-mailed to you. Since the beginning of October 2013, the fishing license is printed on a piece of paper, so you no longer need the "physical" license. A scanned copy, or even a photocopy will do. Just make sure everything is legible, i.e. well printed. 3) You can print it, and then cut it out, and put it in your wallet. The license is valid for three years and can be used for all the Canary Islands. Many people ask if there is the possibility of getting a license for a smaller period, but it isn't possible, because there is only one type of licence. Order processing of your fishing license order typically takes 48-72 hours. The shore fishing license costs 40 Euros if you order online, but the price goes down if you order more than one license. Ordering online includes administrative charges (waiting in line at the government office, waiting in line at the bank, and then going back to the government office with the bank proof of payment) and Paypal fees. The "fishing from a boat with trolling" license costs 60 euros if you order online. We are often asked whether a child fishing with his parent/s is required to have a separate fishing license. The answer is: yes! Legally you are required to have a separate license for your child. Unfortunately, the Canarian government has placed a set of hurdles to make this so difficult to do, that very few tourists have the patience to apply for it. First of all you will need a document that proves that you are the parent of the child, such as a birth certificate. This has to be translated by local translator, signed, stamped by him/her, certifying it's a genuine translation. Most tourists who want to take their kids fishing just risk it, and take them along anyway. After all, they're only going to be doing it a couple of days in the year, and then they will be gone. We discourage to do this, because inspections happen regularly. Click here to read more on how to get a fishing license for your son or daughter. Avenida Alcalde José Ramírez Bethencourt, nº22- Edificio Jinamar. Opening hours: 9.00-14.00 (except the summer months, which is when they close at 1 o'clock). It is recommended to go early. It does get busy in the summer.